Walter Wolff lived in Frankfurt, Germany with his widowed mother and brother, Bruno. In 1933, when Hitler came to power, there was a dramatic increase in anti-Semitism. On November 9-10, 1938 during Kristallnacht, the Night of Broken Glass, the Nazis destroyed Jewish-owned businesses, burned synagogues, murdered 91 Jews and arrested 30,000 Jews and sent them to concentration camps. Just after Kristallnacht in 1938, Walter and his brother were arrested and sent to Dachau. Their mother successfully obtained their release with the stipulation that they leave Germany immediately. Italy allowed the Wolff family entry without visas. On June 10, 1940, Italy entered World War II, and all foreigners, including Jews, were interned. 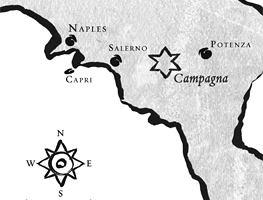 Walter was sent to the concentration camp at Campagna; Bruno was sent to the concentration camp at Ferramonti; and their mother was sent to the Province of Potenza. The Italian government allowed families to be reunited by making a formal request called a "domanda” and live in "Confino Libero" in selected towns. (Confino Libero, or Free Confinement, was a system where Jews were sent to live in small towns in Italy but had certain restrictions placed upon them including limitations on travel, mandatory curfew and daily police check-ins.) The Wolff family chose the town of Casale Monferrato near Milan. Walter and Bruno had jobs and were treated well by the townspeople. After Germany invaded Italy in September 1943, all Jews were threatened with deportation to a German concentration camp and certain death. The local policeman warned Walter to leave immediately because the next morning he was returning with the Germans to arrest the Wolff family. Walter's landlord took the family into the countryside, where they survived for almost a year with the help of individual Italians. After almost a year, the family stopped running and Walter sought the help of a local priest near the town of San Giorgio Monferrato. The cleric helped the Wolff family obtain fake documents from a town official, and Walter was able to support his family by working for Agip Petroleum until the end of the War. The Wolff family came to the United States in 1947. 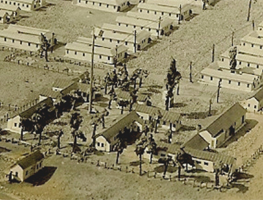 Walter published a book about his experiences in Italy titled Bad Times, Good People: A Holocaust Survivor Recounts His Life in Italy During World War II. 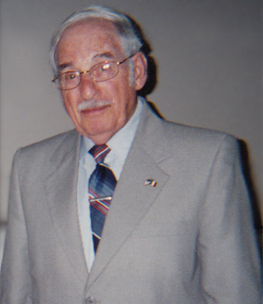 Walter lived in New York and spent many years lecturing to educate people about the Holocaust and his experiences in Italy until he passed away on June 7, 2007 at the age of 90. Walter had three children, five grandchildren and nine great-grandchildren.